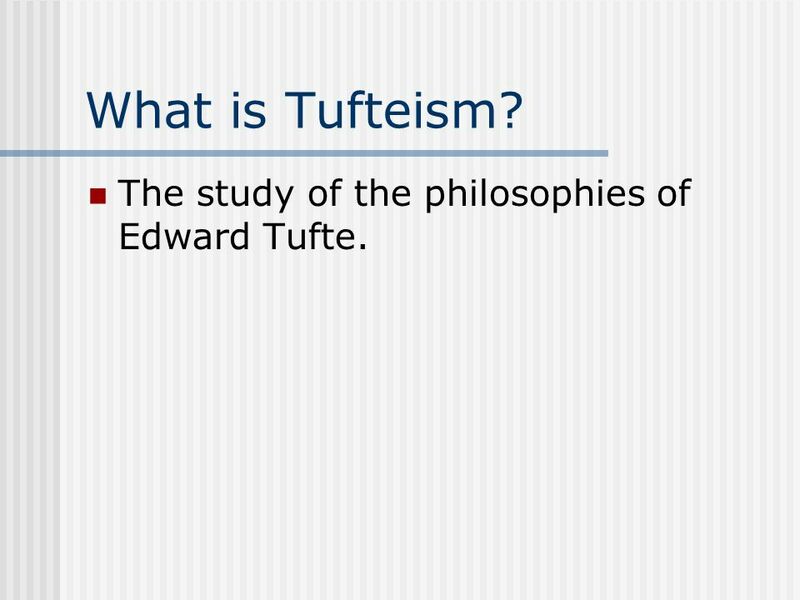 2 What is Tufteism? 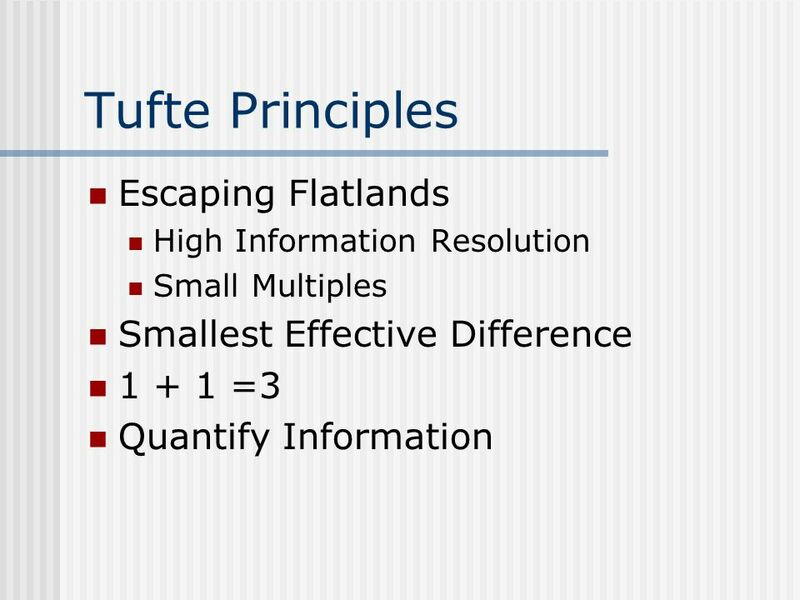 The study of the philosophies of Edward Tufte. 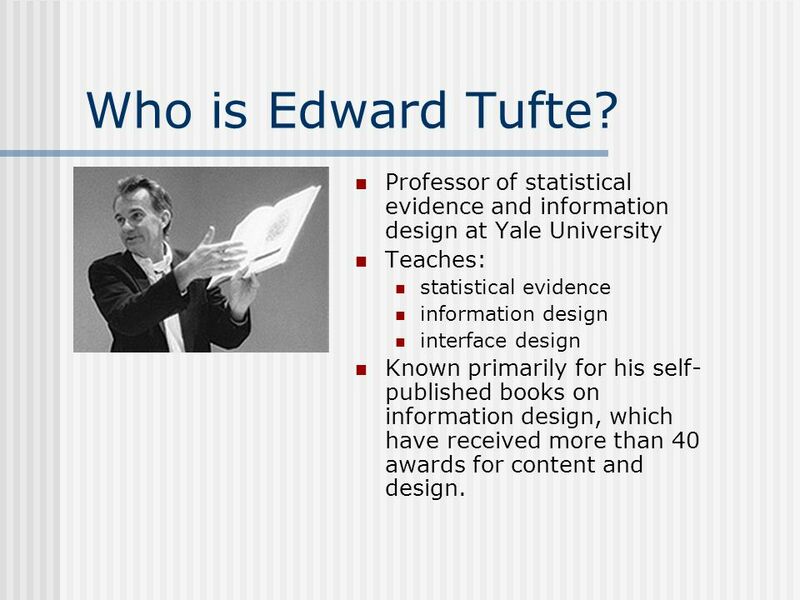 3 Who is Edward Tufte? 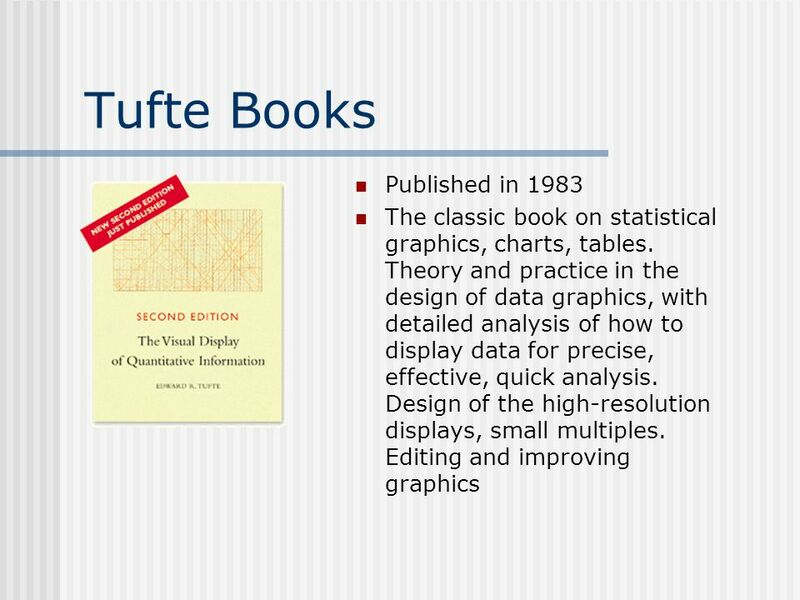 Professor of statistical evidence and information design at Yale University Teaches: statistical evidence information design interface design Known primarily for his self-published books on information design, which have received more than 40 awards for content and design. 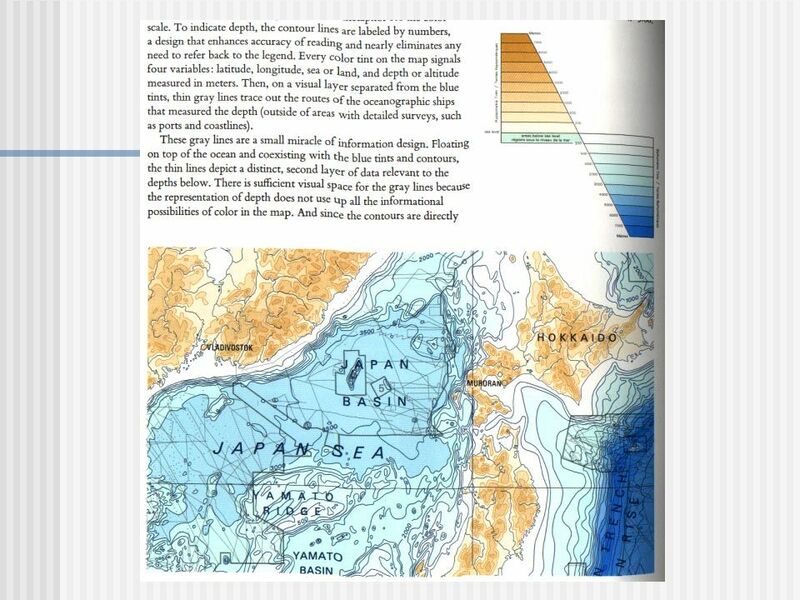 This book celebrates escapes from the flatlands of both paper and computer screen, showing superb displays of high-dimensional complex data. 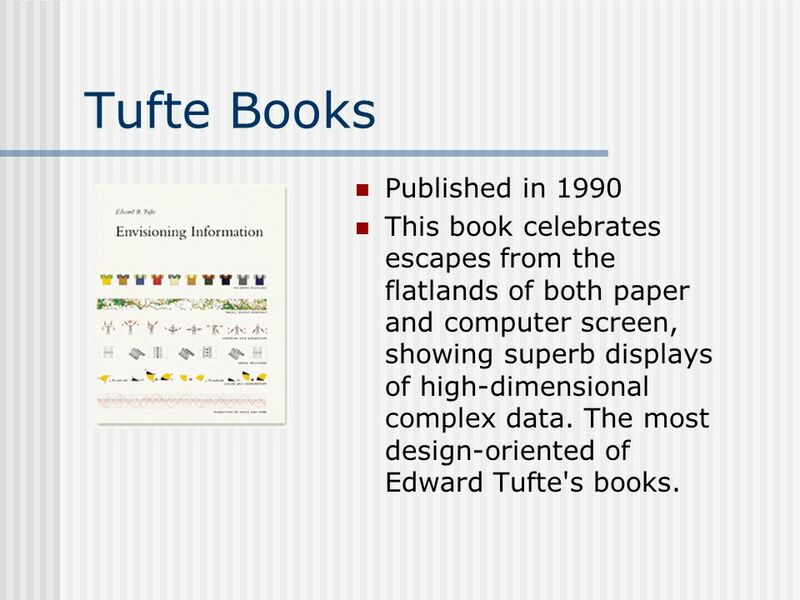 The most design-oriented of Edward Tufte's books. Visual Explanations: Images and Quantities, Evidence and Narrative is about pictures of verbs, the representation of mechanism and motion, process and dynamics, causes and effects, explanation and narrative. 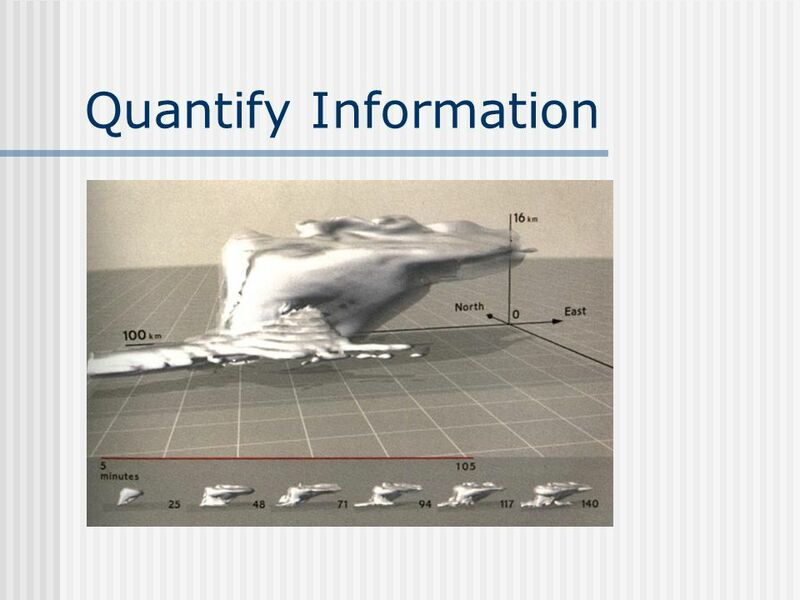 Practical applications and examples include statistical graphics, charts for making important decisions in engineering and medicine, technical manuals, diagrams, design of computer interfaces and websites and on-line manuals, animations and scientific visualizations, techniques for talks, and design strategies for enhancing the rate of information transfer in print, presentations, and computer screens. 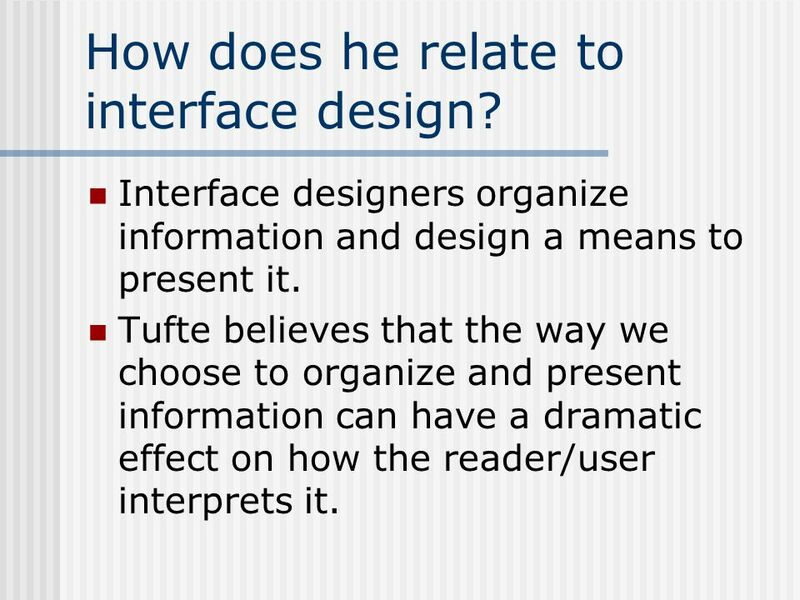 7 How does he relate to interface design? 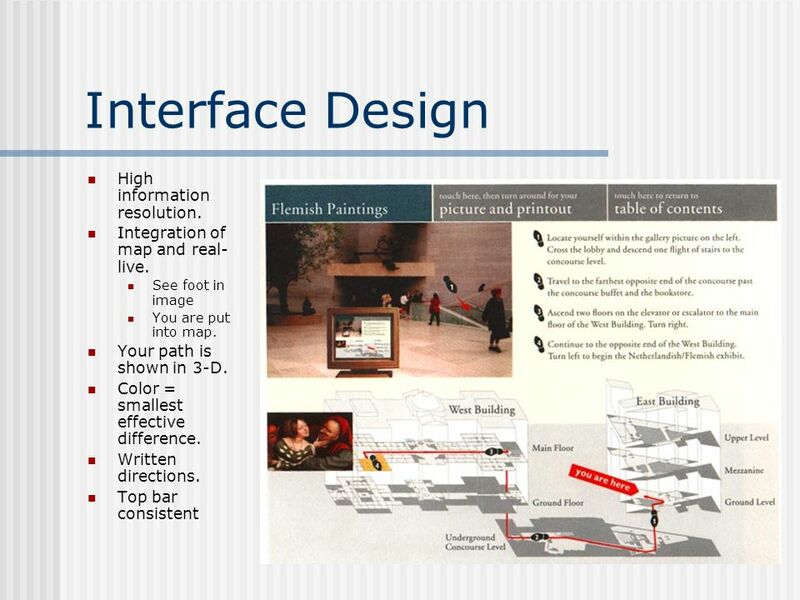 Interface designers organize information and design a means to present it. 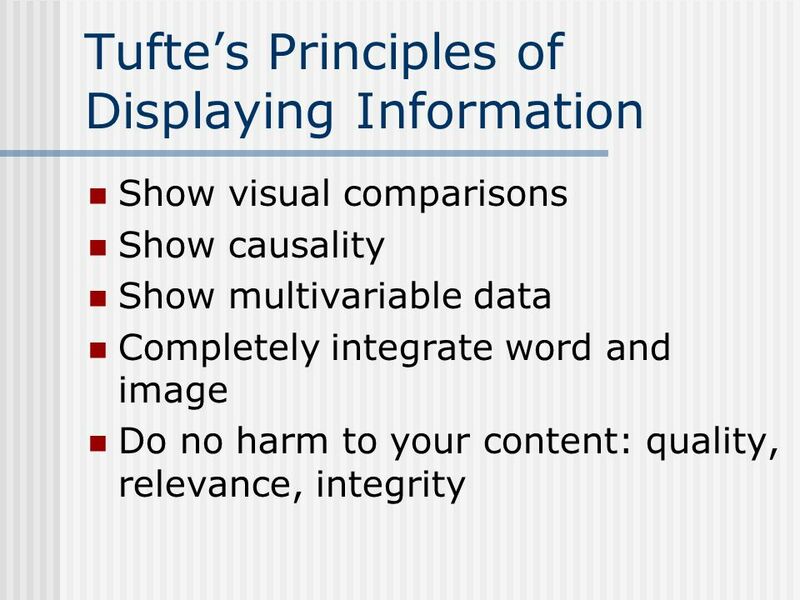 Tufte believes that the way we choose to organize and present information can have a dramatic effect on how the reader/user interprets it. 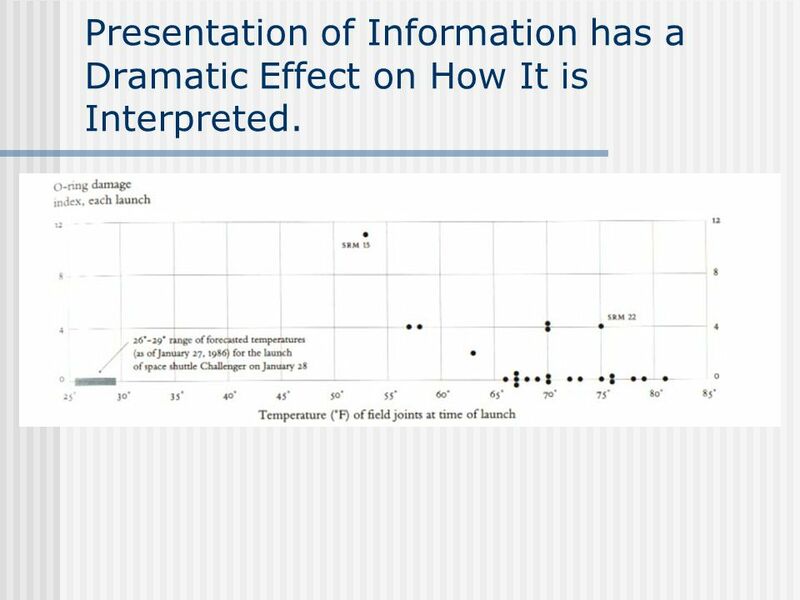 8 Presentation of Information has a Dramatic Effect on How It is Interpreted. The Challenger Shuttle explosion of 1986. 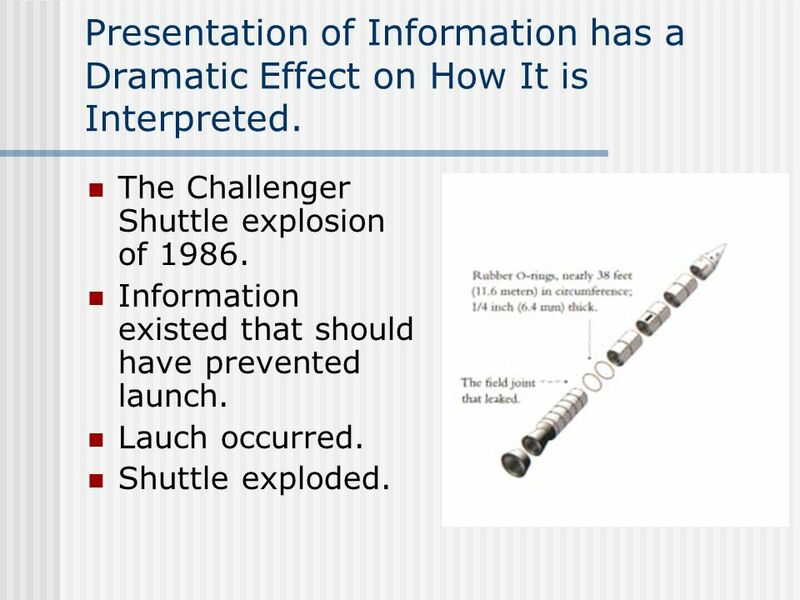 Information existed that should have prevented launch. Lauch occurred. Shuttle exploded. 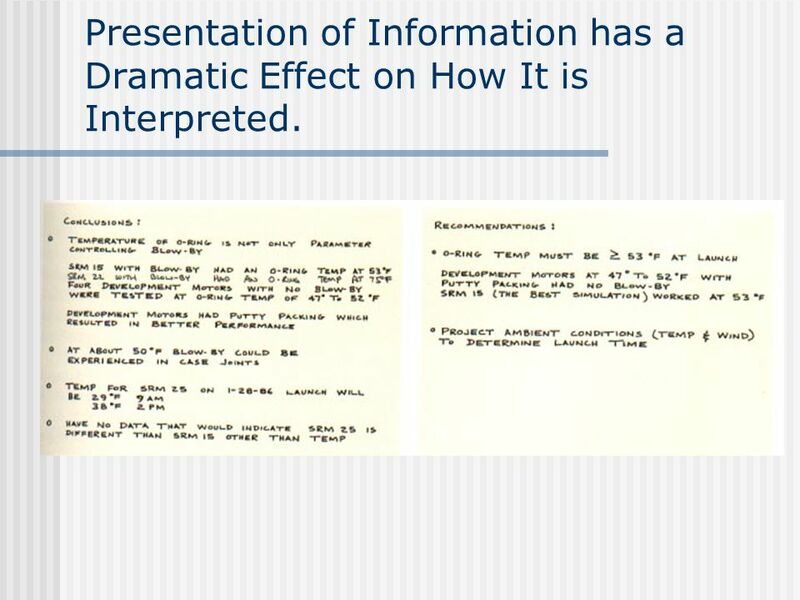 9 Presentation of Information has a Dramatic Effect on How It is Interpreted. 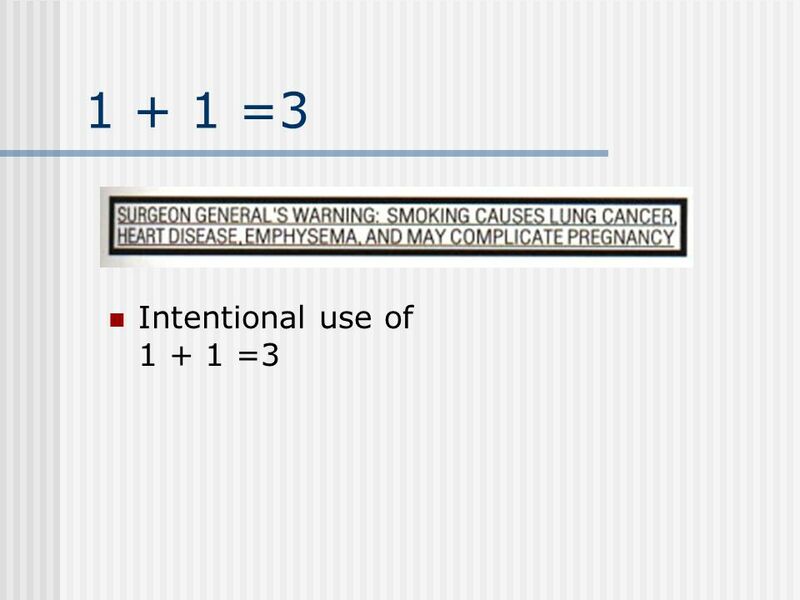 10 Presentation of Information has a Dramatic Effect on How It is Interpreted. 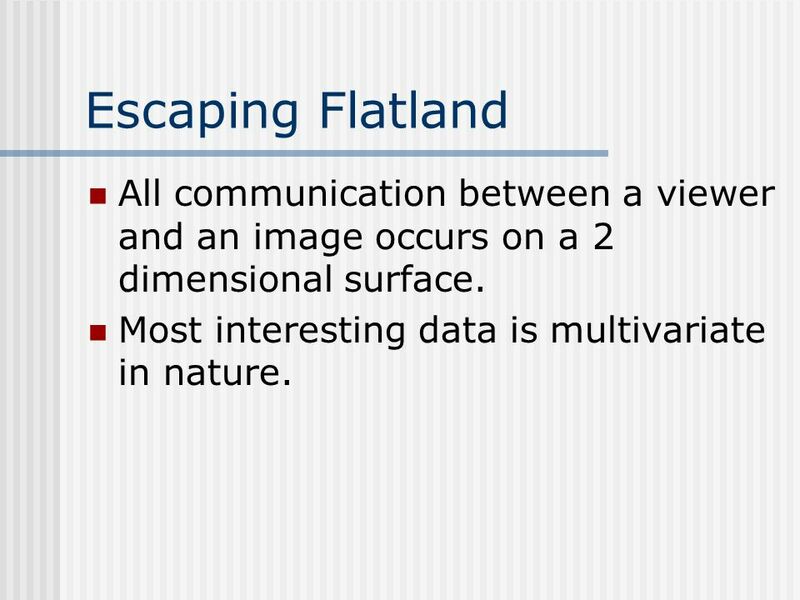 12 Escaping Flatland All communication between a viewer and an image occurs on a 2 dimensional surface. Most interesting data is multivariate in nature. 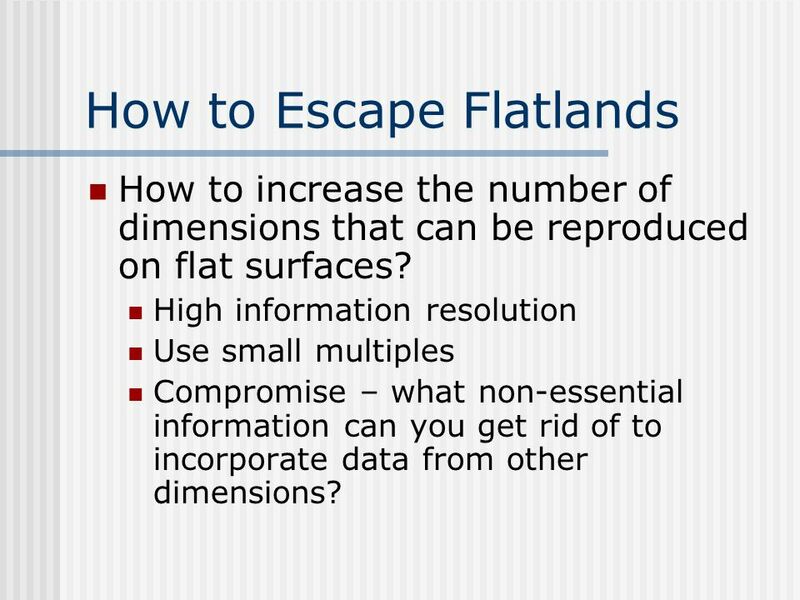 How to increase the number of dimensions that can be reproduced on flat surfaces? 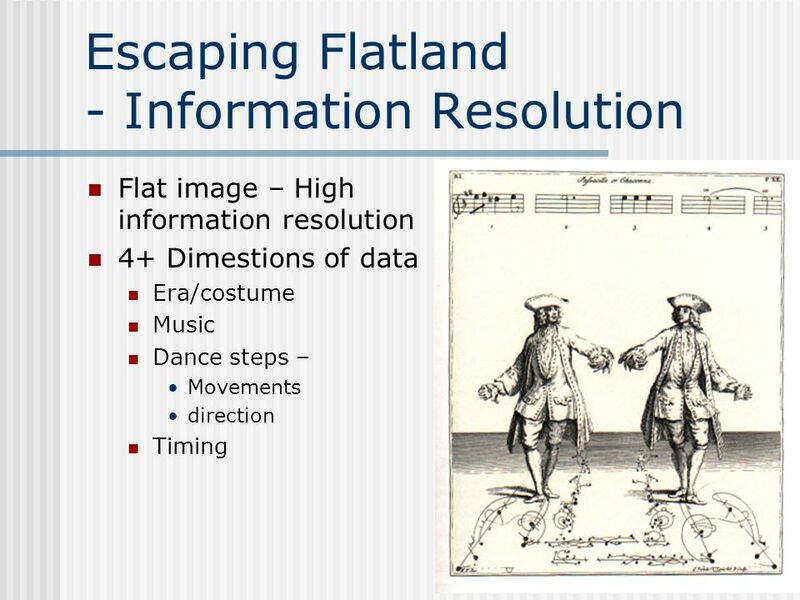 High information resolution Use small multiples Compromise – what non-essential information can you get rid of to incorporate data from other dimensions? 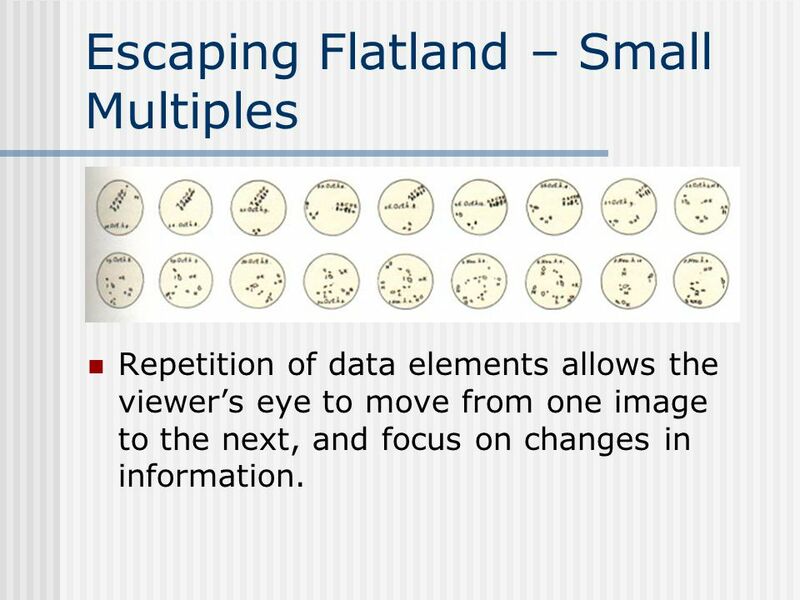 Repetition of data elements allows the viewer’s eye to move from one image to the next, and focus on changes in information. 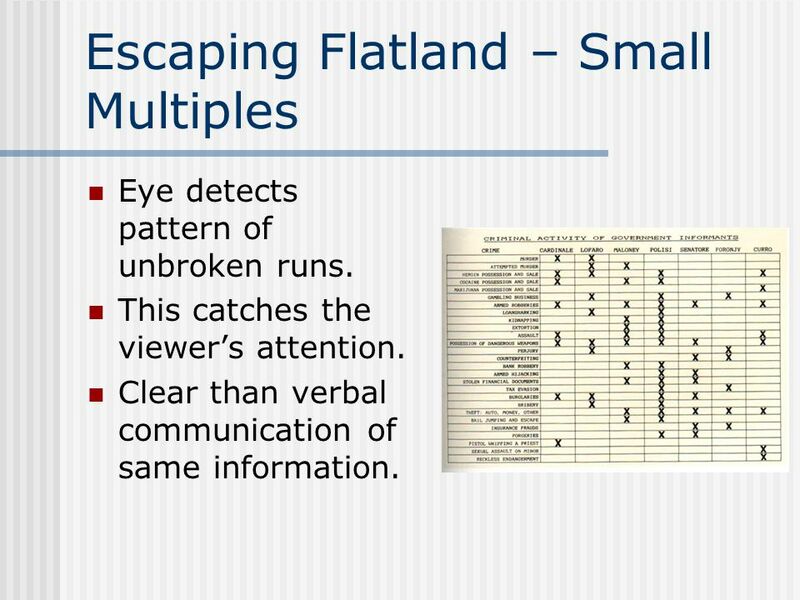 Eye detects pattern of unbroken runs. This catches the viewer’s attention. Clear than verbal communication of same information. White band is dominant visual statement. 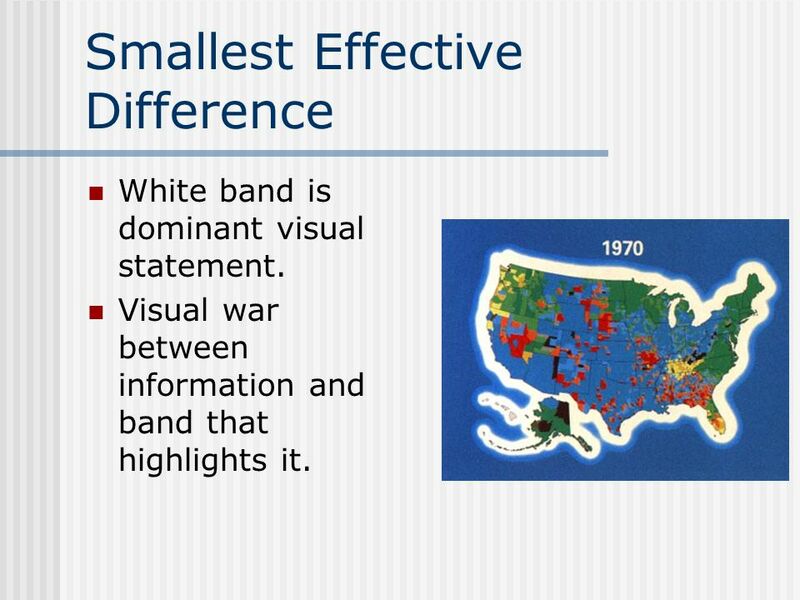 Visual war between information and band that highlights it. 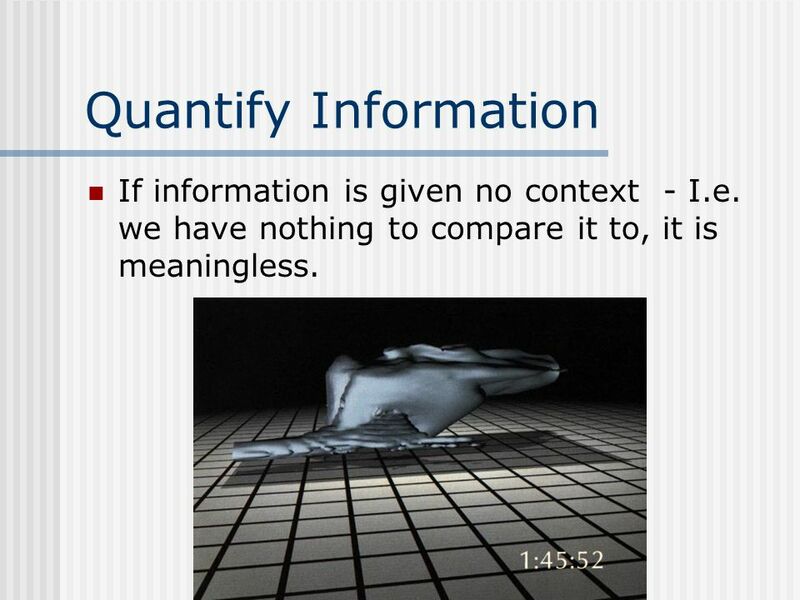 22 Quantify Information If information is given no context - I.e. we have nothing to compare it to, it is meaningless. 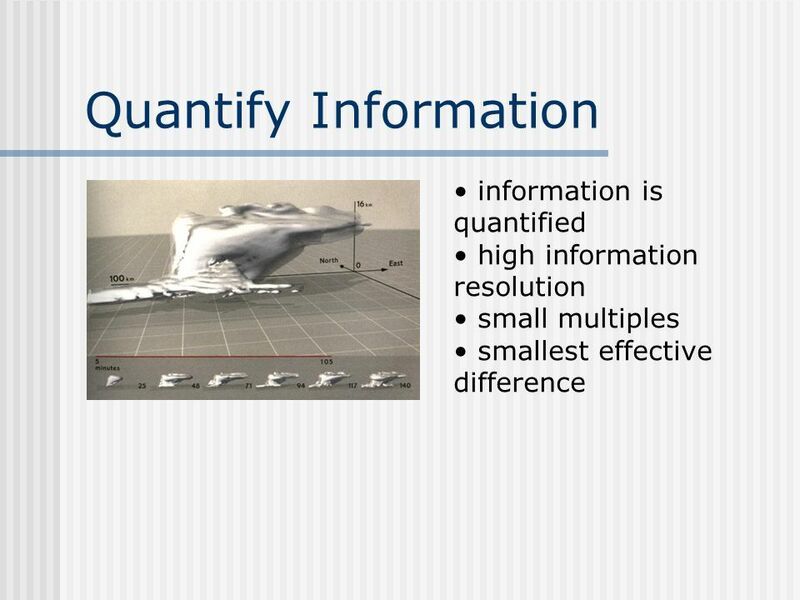 25 Quantify Information Smallest Effective Difference? 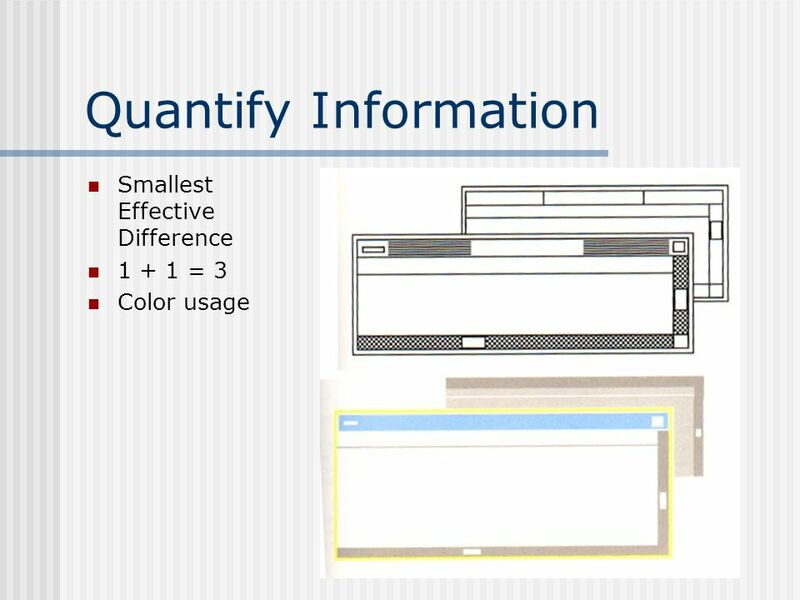 Information is not quantified. Color usage – non-natural colors. 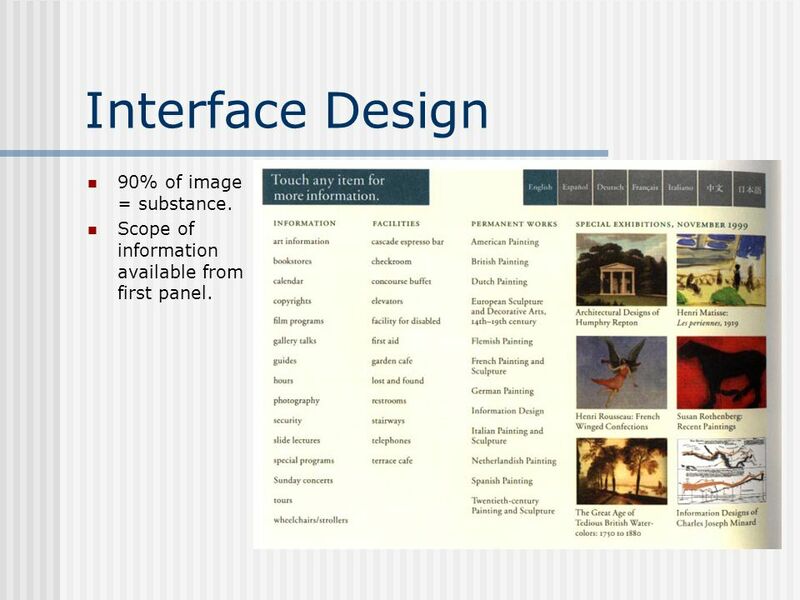 28 Interface Design 90% of image = substance. Scope of information available from first panel. 29 Interface Design High information resolution. 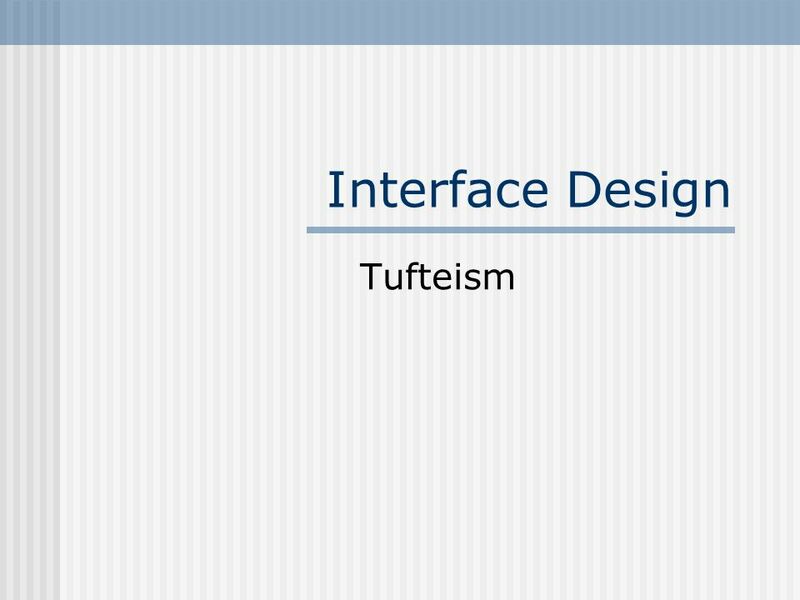 Download ppt "Interface Design Tufteism." Lecture 06: Design II February 5, 2013 COMP Visualization. 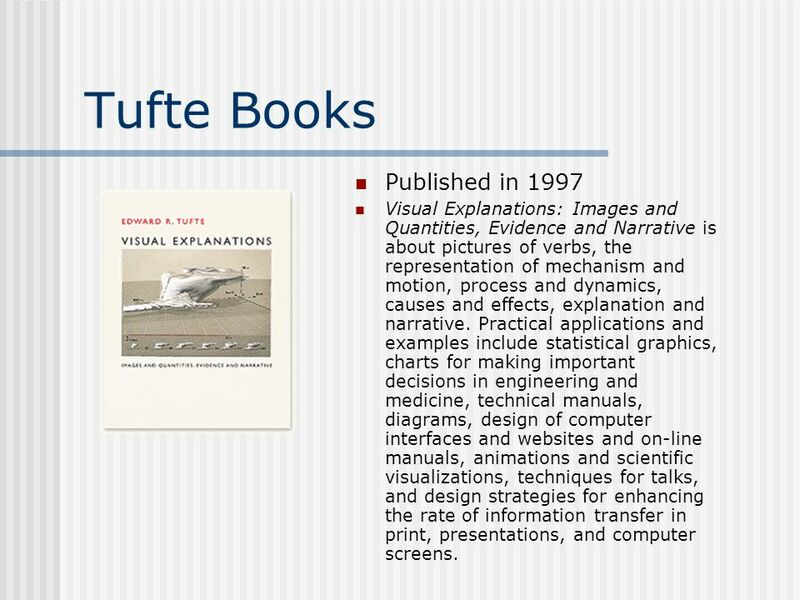 © Anselm Spoerri Lecture 4 Human Visual System –Recap –3D vs 2D Debate –Object Recognition Theories Tufte – Envisioning Information. A valid measure?. 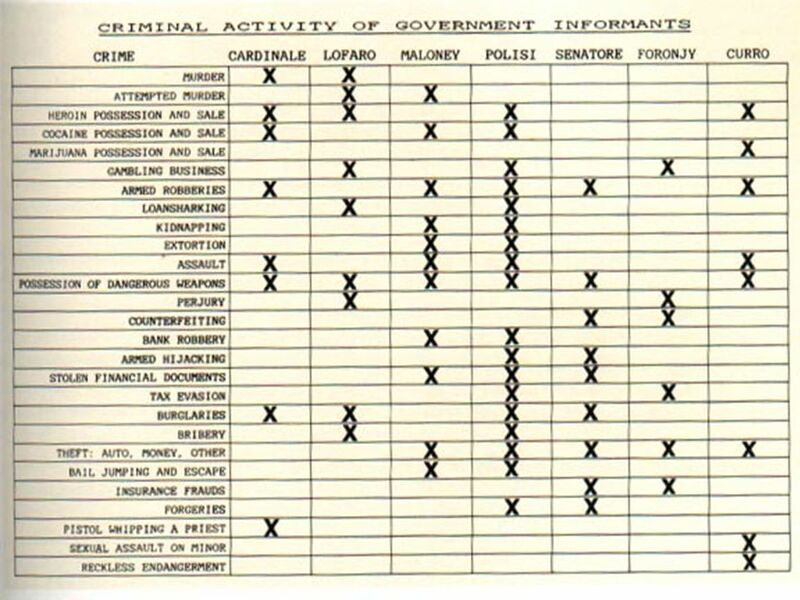 Statistical graphs: The good, the bad and the ugly. The Rainforest Katie Farlow, Whitney McManus, Rita Hill, Quiana Allen & Lauren McCarthy. 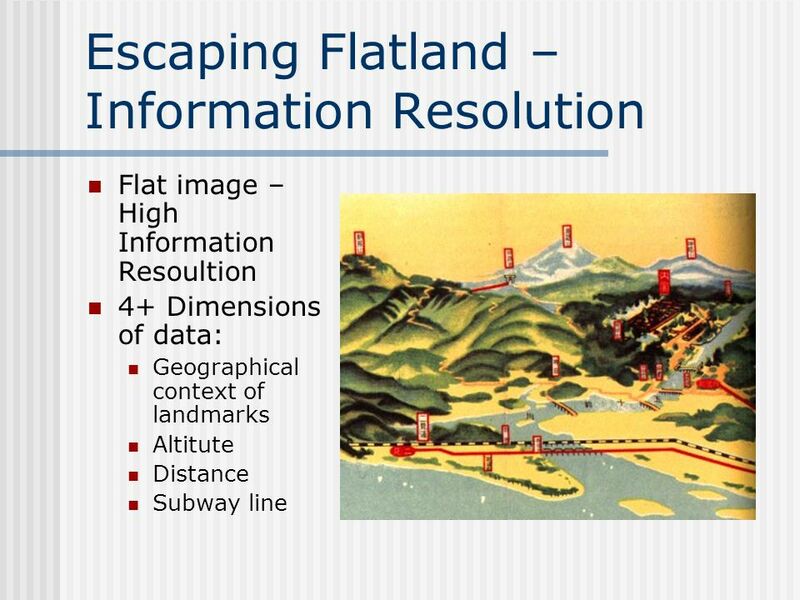 SIMS 247 Information Visualization and Presentation Prof. Marti Hearst August 31, 2000. Graphical Data Displays and Interpretation 2009 October 9. 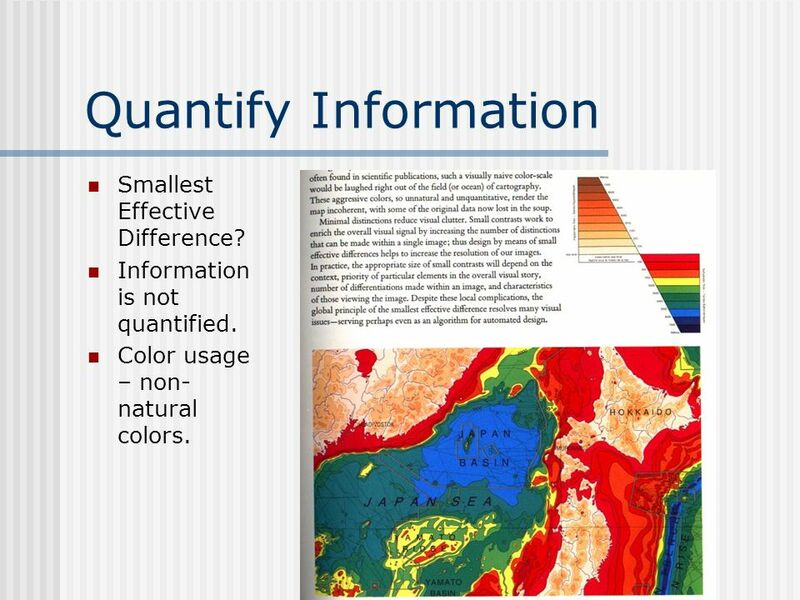 Graphical Data Displays and Interpretation Wednesday, October 9. Scientific Communication and Technological Failure presentation for ILTM, July 9, 1998 Dan Little. Copyright © 2005 Brooks/Cole, a division of Thomson Learning, Inc. 3.1 Chapter Three Art and Science of Graphical Presentations. 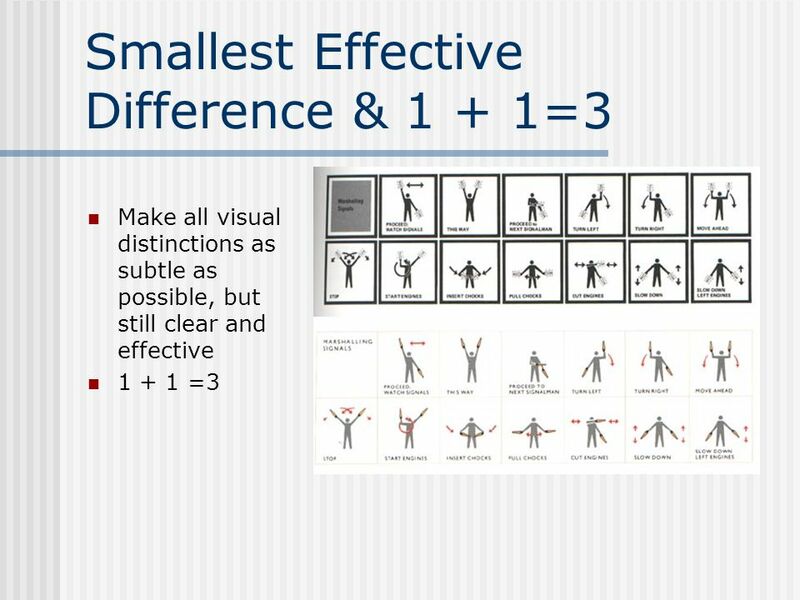 1 Visualization Solutions for Effective Communication Warren C. Weber California State Polytechnic University, Pomona.